Find Better Ideas, Faster ® with a custom skincare trend report, our PRO Dashboard and 80+ categories of premium trend reports. 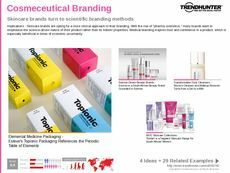 Trend Hunter’s Skincare Research conveys insight about leading industry brands, consumer behaviors and high-tech beauty products. Our research is crowdsourced through our online platform, which ensures brands have a clear and concise snapshot of the latest industry trends that are influencing consumer behaviors. 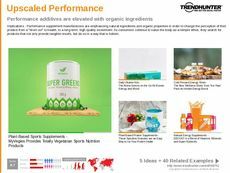 Using our custom trend reports, in-office workshops and data-driven insight, we will show brands explicit insight needed to create new products and connect with consumers. 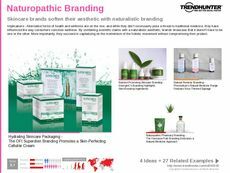 Those working in beauty and wellness fields can draw insight from Trend Hunter’s Skincare Research as it applies to product packaging, demographic preferences and ingredient usage. Our custom research, dedicated advisers and in-office workshops will present unparalleled knowledge that can be immediately implemented by brands. 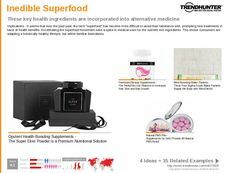 Trend Hunter’s skincare trend research, presentations and custom reports identify patterns among the most innovative ideas in this major market within the beauty category. We’ve worked with major players in the space such as Galderma and Johnson & Johnson and look forward to fueling your teams with unparalleled insights to drive your innovation efforts.